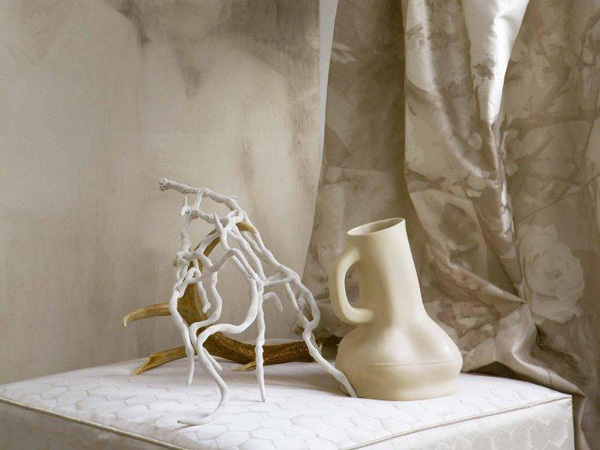 Interiors accessories take their cue from the fashion world. This season some of the most stylish updates for your sofa come, via the catwalk, in bold monochrome graphic and geometric designs. From arresting stripes to striking chevrons they are all played out in black and white. For their 2013 collection Italian textile house Rubelli have taken the contemporary reinterest in cabinets of curiosities as one of their inspirations. Jane Walker is a textile designer who is currently pushing the boundaries of what's possible when it comes to digital printing onto wool cloth. The daughter of an architect, Jane worked for many years as an interior designer before retraining in printed textiles. 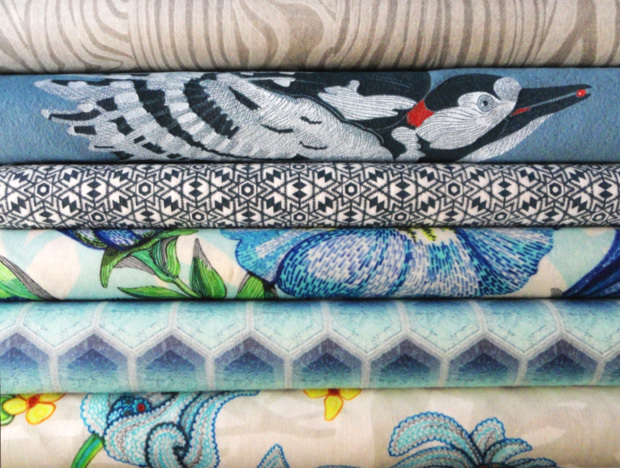 After graduating from Loughborough University with a first class honours degree in 2010 she established Bailey Hills, producing bespoke and limited edition printed interior furnishings and fabrics using British made woollen and worsten cloth. It's a company whose creation and development has its roots not only in Jane's previous career as an interior designer, but also in her family background - her great-great grandfather founded a spinning and weaving company producing woollen and worsted cloth at Bingley in West Yorkshire in 1863. Bailey Hills takes its name from what is said to be the name of the earliest settlement at Bingley and an area of the town where her family lived.